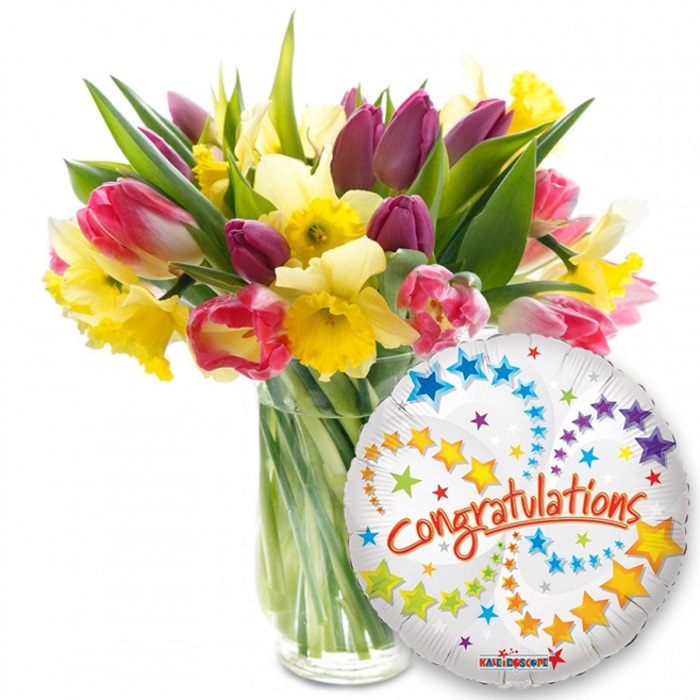 What better celebratory gift to send than the most cheerful blooms of all combined with a "Congratulation" balloon to add to the great surprise gesture! Featuring gorgeous mix of tulips and daffodils. They definitely offer flowers suitable for any occasion. I've used their wedding flowers, anniversary flowers and birthday flower arrangements, plus a few cheap flower arrangements tossed in for good measure. In this case, the recipient loved the superb design, and fragrant, healthy blooms. The convenience of not having to shop in town is an added perk. My daughter enjoyed the flowers sent to her for her new job. Thank you for the prompt service and the timely email correspondence.